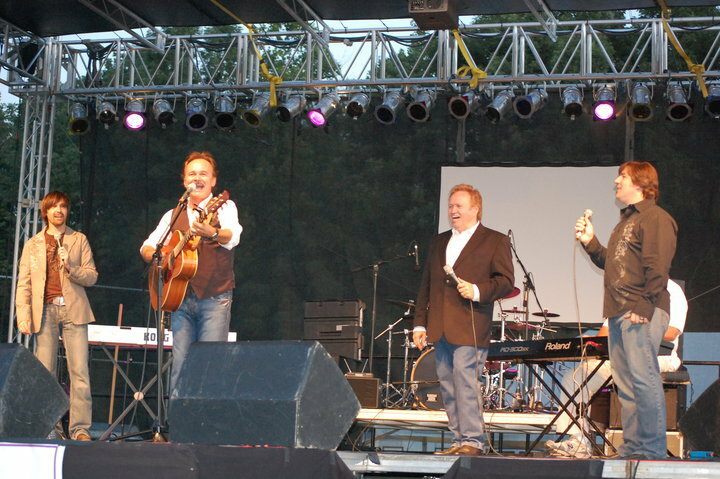 NASHVILLE, Tenn. – Christian music trio Three Bridges was honored to share the stage with Jimmy Fortune (formerly of the Statler Brothers) last month. 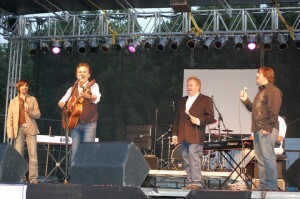 The trio was the featured performer (along with Fortune) at the Violet Township Festival on Thursday, July 29, 2010. Both artists were a part of the Faith & Family Night at the annual festival, which takes place in Pickerington, Ohio every summer. Pictures from the event can be found on Three Bridges’ Facebook page www.facebook.com/3BridgesMusic. Three Bridges has been preparing for the release of their highly anticipated new recording. The yet-to-be-titled new release will be the first to feature new members Shannon Smith and Jeremie Hudson.